No matter how big or small your transformation may be, it matters to our 'ohana. That’s how we've been able to create a unique identity and a determined work ethic, that, bolstered by the story of every client, is the backbone of A.W.A.Y. Athletics. Each of us are blessed beyond our imaginations and grateful for the opportunity to turn our passions into careers. For that, and the chance to keep making a difference in our community, we say thank you. "I didn’t realize just how broken my body was, until I started working out with Micah. My knees, hips, back, shoulders, neck, elbows...all hurt from injuries, my age, living life to the fullest. My knee would hurt and I would adjust the way I carried myself so it wouldn’t hurt as much and then my hip would start hurting and I would adjust myself again. It was a vicious cycle. I knew I needed help!. When I started working with Micah (A.W.A.Y. Athletics) it was difficult for me to jump side to side across a piece of tape on the ground and my posture was a total disaster, because of the way I had been carrying myself for years. Bottom line, I just hurt all the time. When we started Micah asked “what is your motivation?”. My motivation is my family (especially my grandchildren) and my horses. My goal was to become stronger and healthier so I could keep up with my grandkids and horses to the very end. Thank goodness Micah is so patient! He started teaching me the basics and built on those week after week. Now I was hurting for a totally different reason. I was finding muscles I never knew existed! I was becoming stronger, healthier and taller. Yes, taller! My posture was improving to the point where I think I actually gained at least half an inch just by being able to stand up straight. When I have re-injured my knee or another part of my body, Micah is there to rehab that injury. The recovery time is minimal in comparison to how it used to be. It just keeps getting better! I am now taking a nutrition class that A.W.A.Y. offers, in hopes of breaking some lifelong bad eating habits. Being healthy and strong is a lifelong commitment. I’m just very thankful that I have the support I need on this journey. Thank you Micah"
"Lilo and Stitch described the A.W.A.Y family perfectly. “Ohana means family. Family means nobody gets left behind or forgotten” You are never left behind by Micah or your fellow gym family members. We support and encourage each other in and outside of the gym. It’s great to work out in a judgement-free zone and have someone who takes the time to understand and support my personal fitness goals. Micah is always there to make sure I am using proper technique, to push me harder during my workouts, and to keep me motivated throughout the week. I love all of the classes, but my weekend doesn’t feel complete without a Saturday sweat session. Gotta Love the BURN!" "The strength and conditioning camp taught me how to clear my mind and push my limits. I was able to set and achieve all of my goals! I was able to learn proper form and technique while having fun with my friends and working hard." 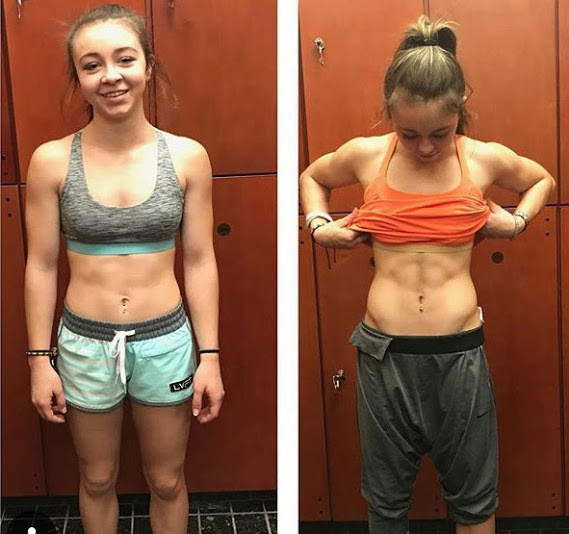 "The strength and conditioning camp didn’t just focus on what I use as a cheerleader... By teaching me proper technique, it helped me get higher Maxes and helped me realize that I could do more then I thought..."
"A.W.A.Y Athletics has been the most amazing program. When I knew I wanted to lose weight, I had no idea where to even start. When I first came to Micah and told him what I wanted to look like, he immediately made up a work out plan just for me. The workouts he gave me put me at my limits, but didn’t push me past my breaking points. When I started seeing results, I was amazed. I’m so happy with my body and am ecstatic with how healthy I feel." "I’ve had the pleasurable opportunity to represent A.W.A.Y Athletics as one of their first ambassadors. This opportunity has been one that has brought on countless positive experiences; whether it be in the gym, or in outside functions. I originally sought to join their team because I was seeking motivation. I was at a loss in life and saw the A.W.A.Y Athletic lifestyle and mentality through their social media accounts. I wanted to be part of the movement, hoping to bring some of that seen positivity and motivation into my own life. A.W.A.Y provides different learning opportunities for each ambassador to gain essential life skills. Ambassadors are assigned different responsibilities, provided diverse opportunities to strive in various types of social situations, given freedom to display personal creativity in social media posts, and much more. This is an example of just what the A.W.A.Y mentality is, they genuinely care about their clients and want them to not only strive in the physical health aspect of life, but strive in life all together." "The away 'Ohana is definitely family and creates feelings of value and worth. The environment at the gym is uplifting, reassuring, positive and supportive. The workouts are engaging, fun and test your limits; everything I look for in a gym. Plus the team is consistently exceeding my expectations with daily anchors and recognizing dedicated, hardworking members. My favorite classes that are taught would be BURN, a real calorie buster; and Rock Bottom, the ultimate booty and core workout! Micah does an amazing job motivating everyone involved while also keeping a sharp eye on form. He really is outstanding! A moment that sticks out to me is when I hurt my ankle and was in a walking boot, unable to come to class. Micah would still reach out to see how I was doing and recovering. To me that simple action speaks louder than words and I am utterly grateful to have a trainer/coach who truly cares enough about his members to go out of his was to make sure they are doing well. I’d like to thank the away team, “Ohana,” for pursing their passions. It’s truly inspiring and a wonderful experience to be a part of." Sign up for the Newsletter and to receive FREE nutrition/training tips, class updates, program releases, discounts, and more.